A love for light and a childhood spent amongst embroidery helped French architect Jean Nouvel shape a new flooring collection for Bolon that plays with lines and dots in a tribute to the art of the 19th century. The 2008 laureate of the prestigious Pritzker Prize, Nouvel is France’s best-known architect. He has created the Institut del Monde Arabe, the Fondation Cartier pour l’Art Contemporain, the Musée du Quai Branly and the Philharmonie de Paris, all in Paris, while he has also designed the Louvre Abu Dhabi, the National Museum of Qatar, the National Art Museum of China and the 53W53 luxury residential tower in New York, which will include gallery spaces for MoMA. What unites these projects – which are disparate in form, context and material execution – is a common artistic sensibility for surface design, as well as a desire to play with reflections and light. 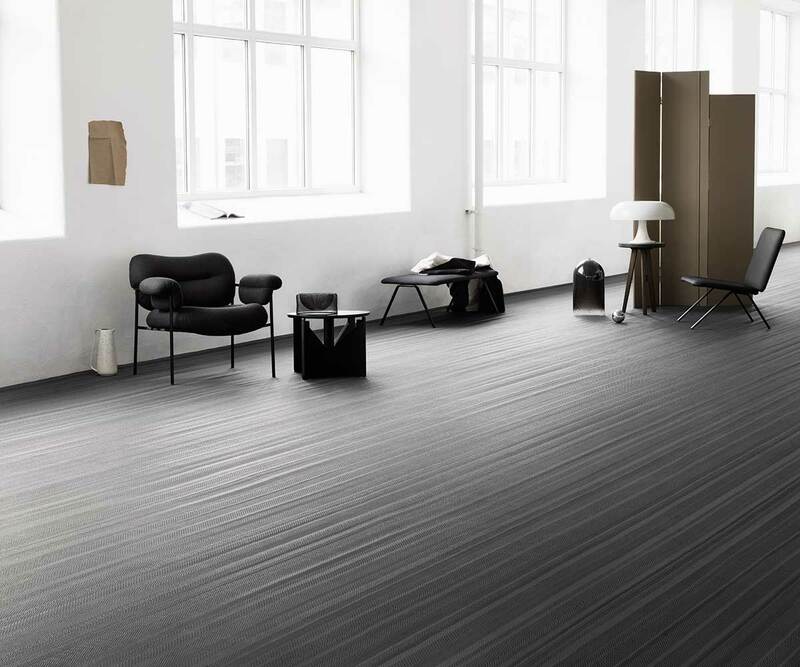 It is this sensibility that has led to Nouvel’s new collaboration with Bolon, for whom he has devised the company’s first flooring collection to be designed by an architect. The flooring has been conceived with spatiality in mind, giving people the freedom to play with colour and light. “The decomposition of the light into dots is a very important theme,” says Nouvel of the collection, which is characterised by fine lines of small dots loosely inspired by Pointillism, the 19th-century approach to painting pioneered by post-Impressionist artist Georges-Pierre Seurat. Available in a palette of black, grey, red and blue, the flooring has been designed such that the repeat in its pattern is near invisible: it breaks down into a pure expression of colour and pattern that seems to erupt spontaneously. 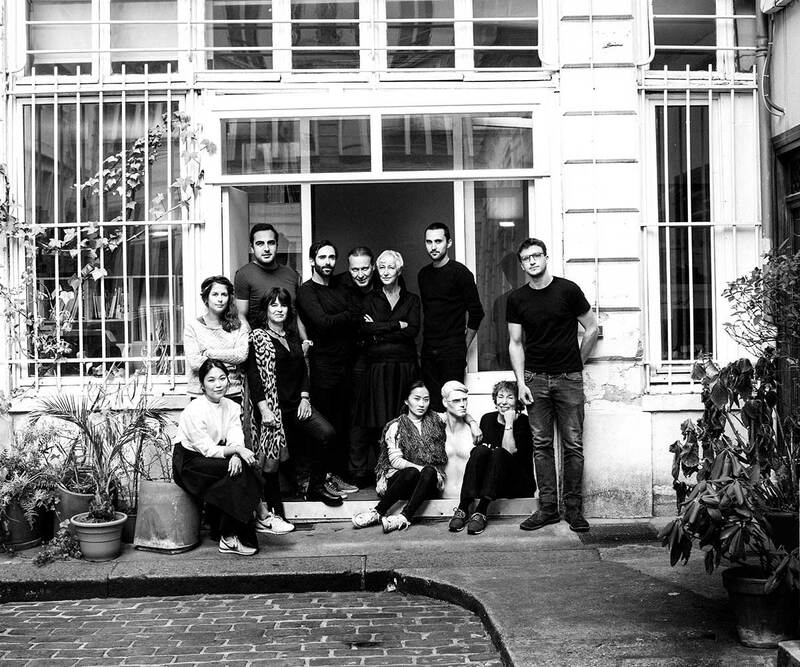 We are meeting in Nouvel’s agency in Paris, located at the end of a cobbled courtyard. The offices are minimally furnished and we sit on a long white table used for meetings. It is two weeks before Nouvel’s exhibition Mes Meubles d’Architecte opens at the Musée des Arts Décoratifs in Paris: a display of the design pieces he has created for brands and galleries such as Molteni & C, Artemide, Poltrona Frau, Ligne Roset, Kvadrat, and Galerie Patrick Seguin. The possibilities of these spatial configurations are showcased in Nouvel’s exhibition, which includes a 25m-long corridor composed of three sequences. “We’ve chosen to go from dark grey, which gives the subtlety of the different linear tapestry weaving, and then successively integrate blue and red,” he says. The site-specific installation in the museum reveals the dramatic impact of the flooring and its attention to detail. The complexity of the lines and the shifting of the stripes and colours is sophisticated and indicates the considerable research involved: the display of samples on one of the walls confirming the level of perfectionism that Nouvel has aspired to. 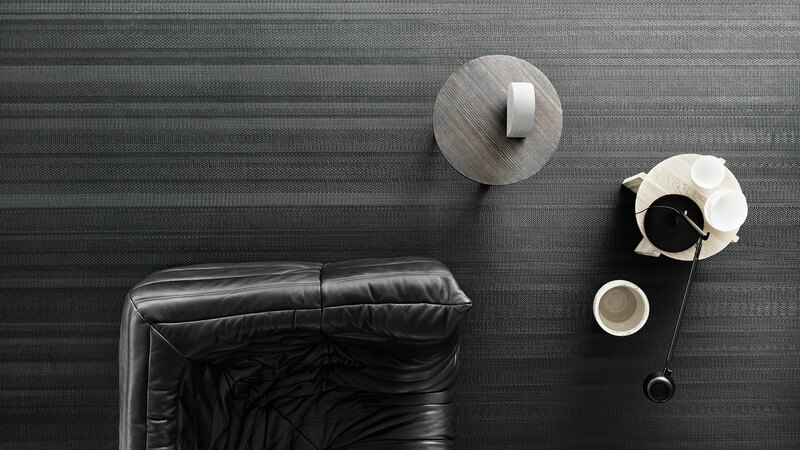 “It’s very tactile – usually the floor is not covered in such fine textures,” says Nouvel.